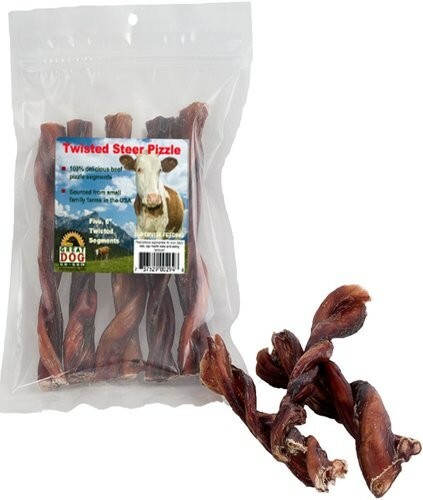 Twisted Steer Pizzle Dog Chew. 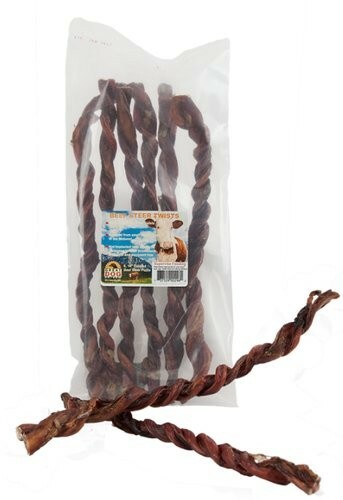 Perfect for any pup that loves their chews! 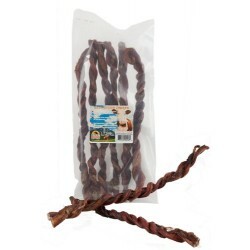 This twisted chew is 100% natural with no added colorings, preservatives, chemicals or salt. While satisfying your pup’s urge to chew, it will also help keep their teeth clean and exercise their gums. Great for small to medium dogs.